Coat a large nonstick wok or skillet with 1 tablespoon sesame oil and place over medium heat. 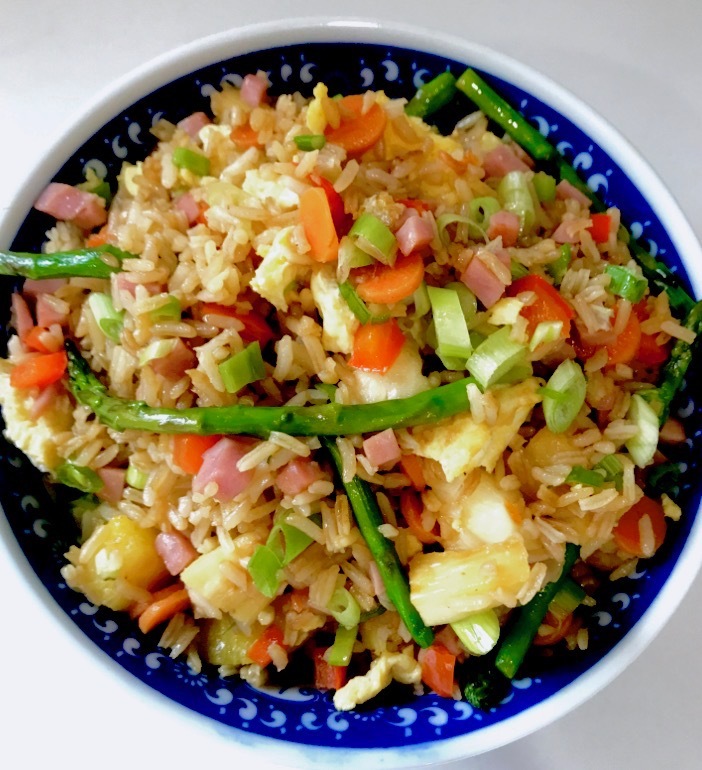 Add asparagus, carrots, garlic, ginger, ham, peppers, snow peas and pineapple; cook, stirring, until the vegetables are just tender, about 5 minutes. While veggies and ham are cooking, in a separate pan, heat canola oil, pour eggs and cook, stirring gently, until just set, 30 seconds to 1 minute. Transfer to a small bowl. 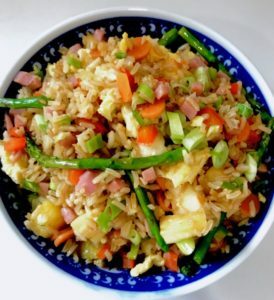 Add the cooked rice and soy sauce to the ham/veggie pan; mix well. Fold in the cooked eggs. Remove from the heat; stir in remaining sesame oil and garnish with scallions.